Search Results for "cpr doll"
Closeup of first aid CPR doll dummy for cardio-pulmonary reanimation training. Bottom view. 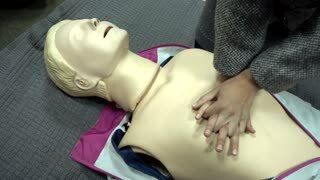 Adult CPR training and First Aid Instruction. Two young girls squatting by firefighters practicing cpr for training demonstration. 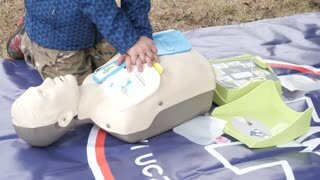 Firefighters diagnose cpr treatment for training dummy as little girls gets close to observe training exercise. 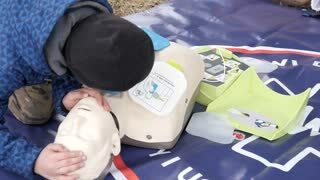 Close up on training mannequin as firefighter practices cpr, providing mouth-to-mouth resuscitation. Close-up of an anesthesiologist's hand. 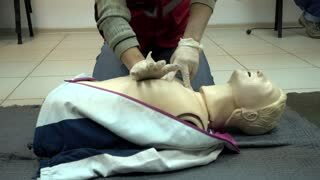 Training on manikin, learning how to insert an artificial respiration apparat. Close-up of an anesthesiologist's hands. 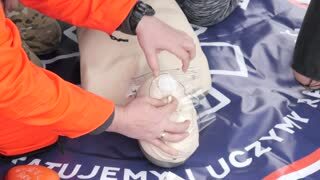 Training on real person, learning how to use an artificial respiration apparat. 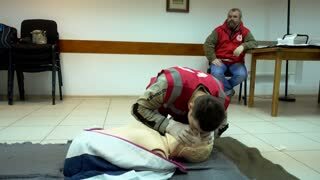 The rescuer does chest compressions. First Aid. Training of Lifeguards. Education rescuers. 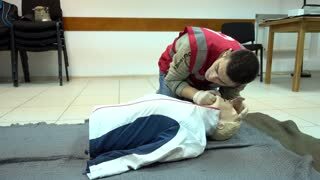 Man teaches CPR on a mannequin. 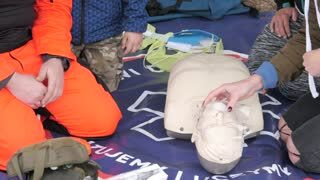 The instructor teaches rescuers. 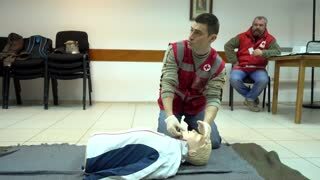 Training in first aid.